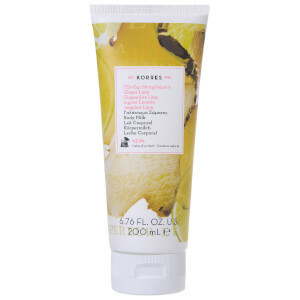 Cleanse your skin while giving it a long lasting moisturising effect with KORRES Basil Lemon Showergel. This creamy foam shower gel contains green spice, for dazzling freshness, and has a vibrant lemon zest touch. Basil Lemon Showergel has active aloe juice, rich in vitamin C, vitamin E, zinc and antioxidant enzymes. These all help to enhance the immune system of your skin. It also contains wheat proteins to form a protective film on your skin, thus maintaining its natural moisture levels. Furthermore, due to its ability to stimulate collagen and elastin synthesis, aloe vera gel slows down skin ageing. 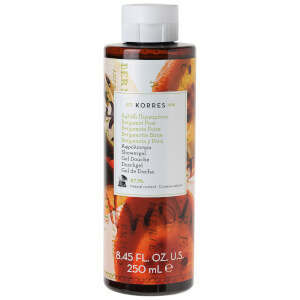 The Showergel is ideally combined with KORRES body milks in order to retain the fragrance longer on your skin. Highly Recommended! this is the 4th time I'm buying this brands' shower gel's and i really love them! the smell is amazing and veery special! I tried this for a few days and I would buy it again. Lemon smells great and my skin is smooth after the shower. 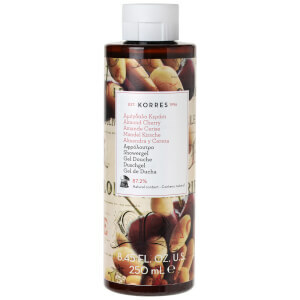 I’ve been loving korres shower gels since first encounter with them! Lightweight texture makes them great for my skin leaving it fresh and smooth after showering/bathing. Also, I love the fact that thay have mostly organic ingridients which shows on my skin. Since I’ve started using korres shower gels my skin is not dry anymore. Nice lemony smell ideal for summertime and that freshness feeling! Incedible smell which lasts all day in your skin. Will deffo purchase again. Got this in my June Beauty Box, and I knew I just had to go and buy the same product again! Loved the scent, texture, and the soft and nourishing way it left my skin! Would definitely recommend! I HAVE QUITE SENSITIVE SKIN AND FIND A LOT OF SHOWE GEL LEAVES ME FEELING ITCH AND RED! APPART FROM NIVEA AND SIMPLE! BUT NOW KORRES BASIL LEMON IS MY NEW FAVOURITE SHOWER GEL! IT SMELLS AMAZING! AND IS GREAT FOR SENSITIVE SKIN, IT DOESN'T LEAVE MY SKIN FEELING IRRITATED, RED OF DRY! AND A SMALL AMOUNT GOES ALONG WAY!I CAN STILL SMELL THE LEMON EVEN AFTER DRYING! CONSIDERING ITS A SHOWER GEL IT ALSO LEAVES MY SKIN FEEL HYDRATED AND WELL MOISTURISED WHICH IS AN ADDED EXTRA FOR ME! OVERALL A LOVEY GENTLE SHOWER GEL, WITH A FABULOUS SCENT WHICH I WILL 100% RE PURCHASE! Bought this as a stocking filler for my nephew, as he has a sensitive skin like me. Lots of lovely fragrances, and suitable for anyone. I am a big fan of Korres, have tried most of the range already and this must be the first product that was disappointing. It is hard to judge the effectveness of a shower gel, most of them get the job done, so does this one. It is also gentle to dry skin and that's the reason I gave it 3 stars. The smell is very boring - no trace of basil, just a strong fake lemon-y smell that mostly reminded of diswashing detergent.